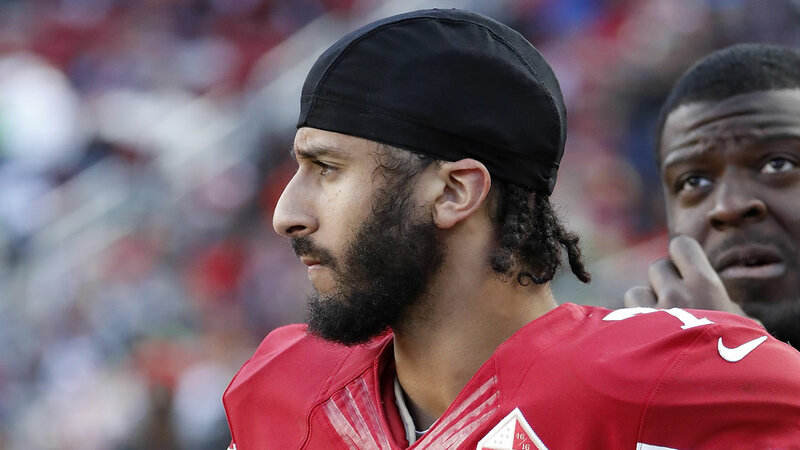 CARLISLE, Pa. -- Officials at a Pennsylvania college are investigating after a photo surfaced that appeared to show a student dressed as former San Francisco 49ers quarterback Colin Kaepernick with a gun pointed at his head. Dickinson College vice president and dean of student life Joyce Bylander says she received the photo over the weekend. In a statement posted to Facebook Sunday, Bylander says the image was "deeply offensive" and reflected "poor judgment." Kaepernick started kneeling during the national anthem before the 2016 season to protest social injustices against African-Americans. Bylander says the school does not believe the gun was real. She says the photo is still being investigated as all guns, whether real or fake, are prohibited on the Carlisle campus.